DJON ALEXANDER trained at Centrestage Performing Arts School before attending The Victorian College of the Arts. His studies then took him back to Centrestage where he completed the Music Theatre course SHOWFIT. Other performing highlights include playing Pixel in the children’s stage show Lazytown Live! and working at Universal Studios Singapore. Most recently he appeared in the Australian Premiere of Dreamgirls with Stageart as C.C. 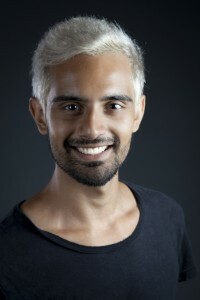 White and will soon appear as Rajib in the Feature Film ‘What If It Works?’. Djon is thrilled to be a part of this amazing production and would like to thank his family, friends and IWM for their love and support.